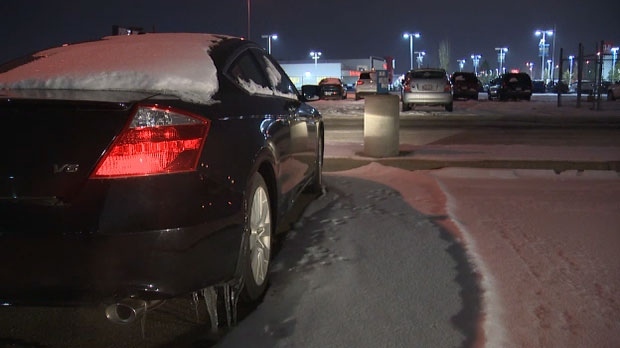 Calgary police have recovered dozens of vehicles and arrested 54 offenders following a three month investigation into auto thefts in the city. The Auto Theft Team recovered 44 stolen vehicles over the last few months and officials say the vehicles are valued at over $1.1 million. 54 offenders were arrested and 53 of them are facing a total of 251 charges related to stolen vehicles, possession of stolen property, weapons offences, drug possession and failing to comply with release conditions. Investigators say the offenders often use the stolen vehicles to commit other crimes. On Wednesday, police arrested one offender who they say was wanted on 62 warrants for previous offences and that the person is now facing an additional 13 charges. “There’s actually numerous other arrests made by our patrol members as well in relation to stolen vehicles, it’s a daily occurrence for us. What our Auto Theft Team is doing is trying to target the most prolific offenders and try and have the greatest impact on the auto theft issues and we see that but when we arrest people that have more charges, as is evidenced by what we’re releasing today, there’s more opportunity for them to spent time in custody and for us to make a greater impact, Smiley added. Police say offenders are out looking for easy vehicles to steal and that auto thefts increase with the colder weather. “We see everything from an organized effort to a crime of opportunity and that crime of opportunity is one we’re trying to capitalize on today with the messaging around leaving your vehicle running and the crime of opportunity just occurs to that criminal because they see it running in the driveway or at the local convenience store or what have you,” said Smiley. Never leave a running vehicle unattended, if the keys are inside the vehicle or if the vehicle has been started with a keyless ignition or push-button start. Never leave spare keys or garage door openers in or around your vehicle. Do not leave valuables, including identity documents and bank cards, in a vehicle. Police say an average of 15 to 16 vehicles are stolen in the city every day. People can report suspicious activity to police by calling 403-266-1234 or 911 for crimes in progress. Police will provide an update on the case at 10:00 a.m. Watch the livestream HERE.